Our Eco Glazed Brick Slip range is produced from recycled Welsh slate dust which is fired to form a 215x65x15mm brickslip, these ceramic tiles are then glazed and re fired to produce a durable and highly decorative product for external and internal applications. 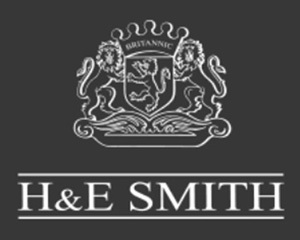 H&E Smith have been manufacturing our premium quality fireplace ceramic tiles for generations. In 2005, in response to the demand we continued to receive for these products, we decided to set up a dedicated e-commerce website to facilitate quick and easy ordering of fireplace tiles and related products and the FireTile website was launched. The Period Embossed range of modern ceramic wall tiles offers anew choice of colours incorporating a series of elegant cornices and mouldings. This range of ceramic tiles is complemented by a functional and smart selection of solid glazed ceramic corner fittings to match the field tiles. Metro Tiles otherwise known as Underground Tiles are a classic period tile that has become an increasingly popular product in recent times. We manufacture and supply a metro tile range in a beautiful range of lustrous colours. Gloss glazed white body wall tiles in various colours of the spectrum with colour match in porcelain and glazed matt vitrified tiles for perfect colour coordination throughout a project.